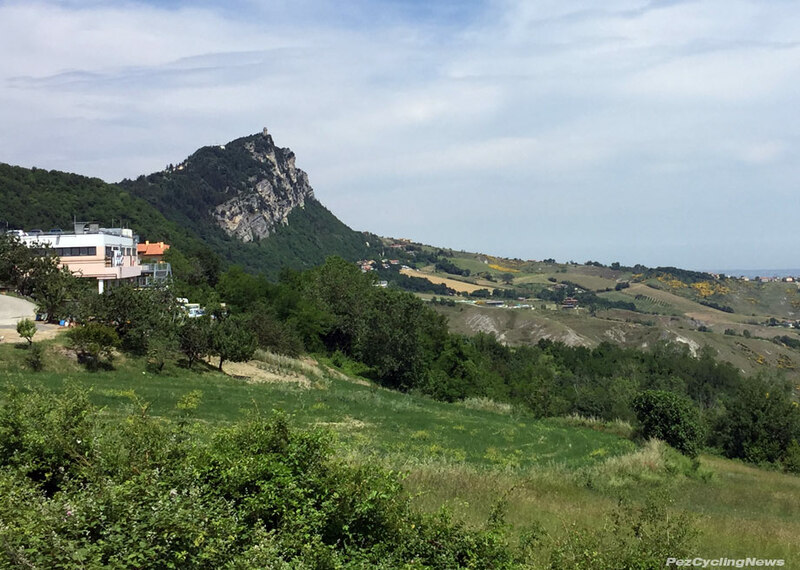 TOP RIDE: The riding on Italy's Adriatic Coast has long been a favorite of Europeans, and is now being "discovered" by North American's too. Rolling hills, big mountains, and gorgeous coastal flat roads make it ideal for all types of riders. 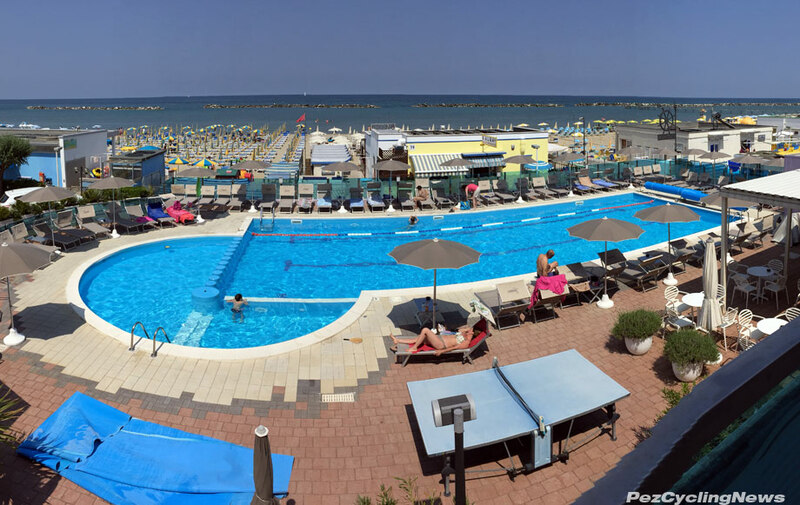 One of the best places to stay is the family run Lungomare Bike Hotel - in Cesenatico, a perfect base to explore cycling to San Marino, enjoy the beach, and experience a different part of Italy. 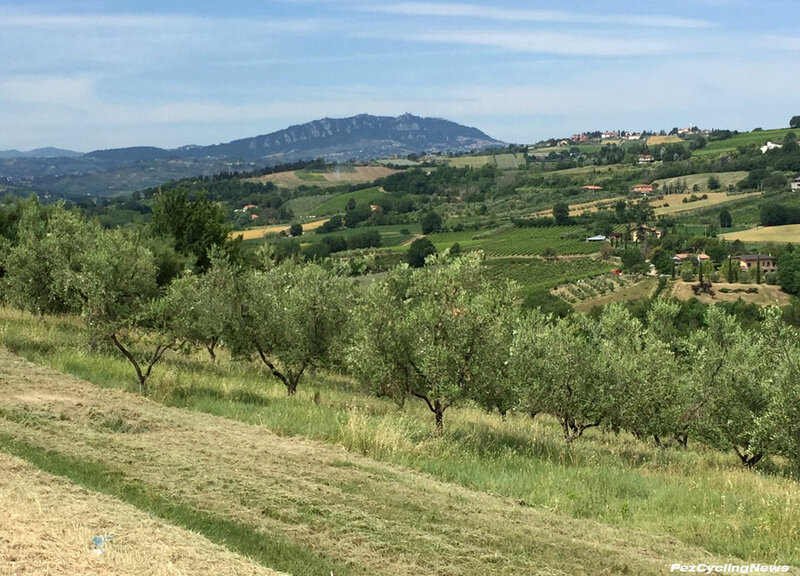 After covering stages of the Giro d'Italia for a dozen years, I decided that my week of riding in Italy in 2017 would be more about the riding and less about the daily reporting. 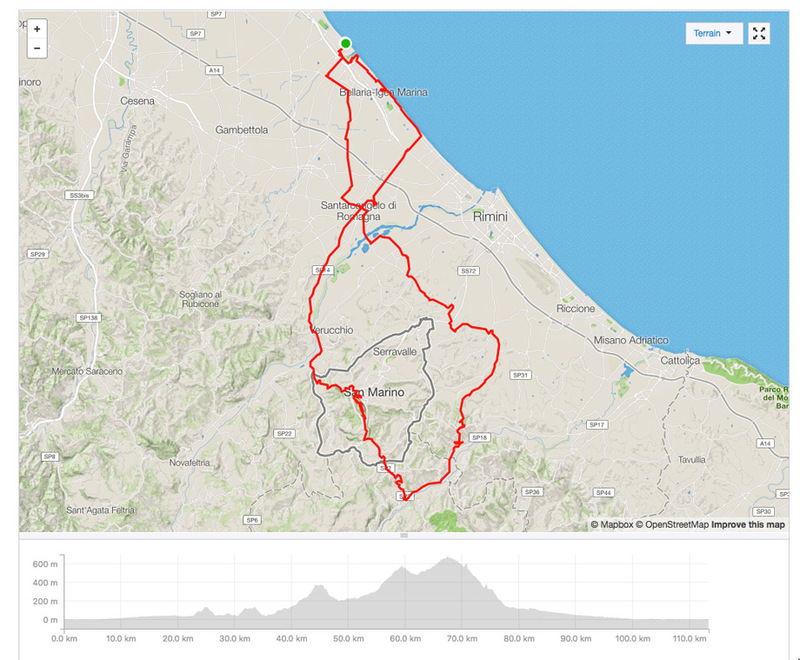 I'd pieced together a nice little itinerary that dropped me into Venice and out of Bologna some 9 days later, and included stops in Venice, Bassano del Grappa (where an actual stage of the race was viewed), then stays in Faenza, Riccione, and Cesenatico - and one of my favorite bike hotels - the Hotel Lungomare Cesenatico. I've stayed here a few times, as loyal PEZ-Fans will know, and enjoyed some of the best bike hotel amenities around - beautiful location right on the beach over looking the Adriatic Sea, modern rooms, excellent dining room, even more excellent spa (where a post ride massage has literally brought me back to life), a massive secured bike room complete with work and cleaning areas, but most of all - the family run hospitality that you only get where the people running the place really do care that you enjoy your stay and come back again. 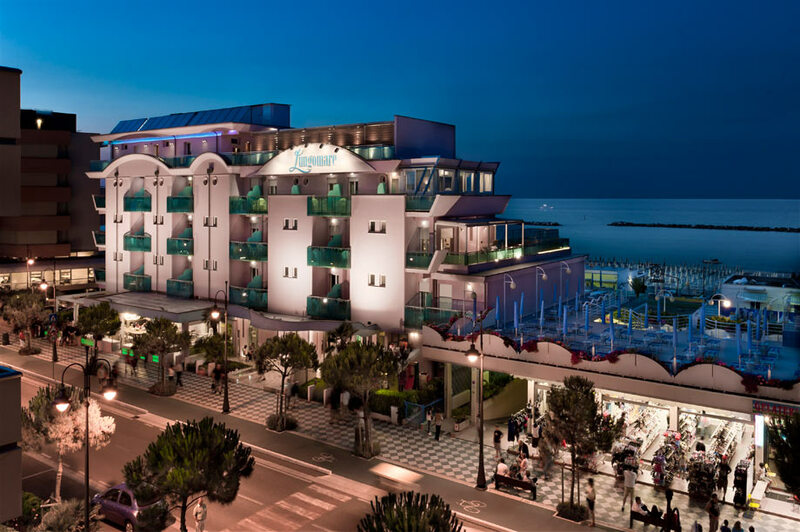 The Pasolini family has been in the hotel biz for a couple generations now, and have grown their hotel from a summer time beach resort to hosting sports team, conventions, and many pro cycling teams (like Sky & Astana) for 8 months of the year, across seasons when the weather is too cool for the beach but perfect for logging early season training miles. 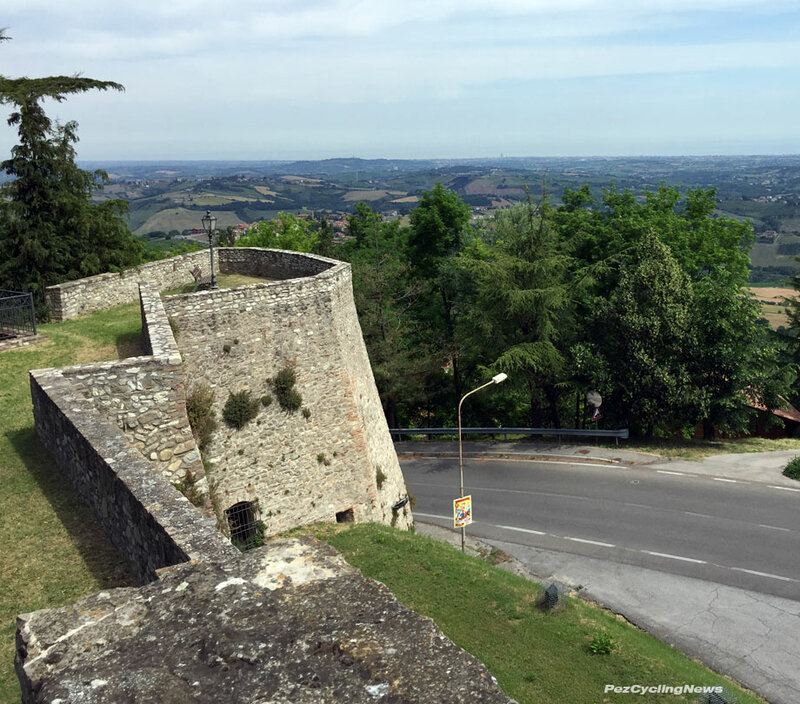 They're also perfectly located near the start of the very famous Nove Colli Gran Fondo - one of the biggest in Italy with over 15,000 riders each May. May is a great month to visit too - the weather is always nice - sunny and warm with temps in the high 20's (Celsius) clear skies and not much wind. 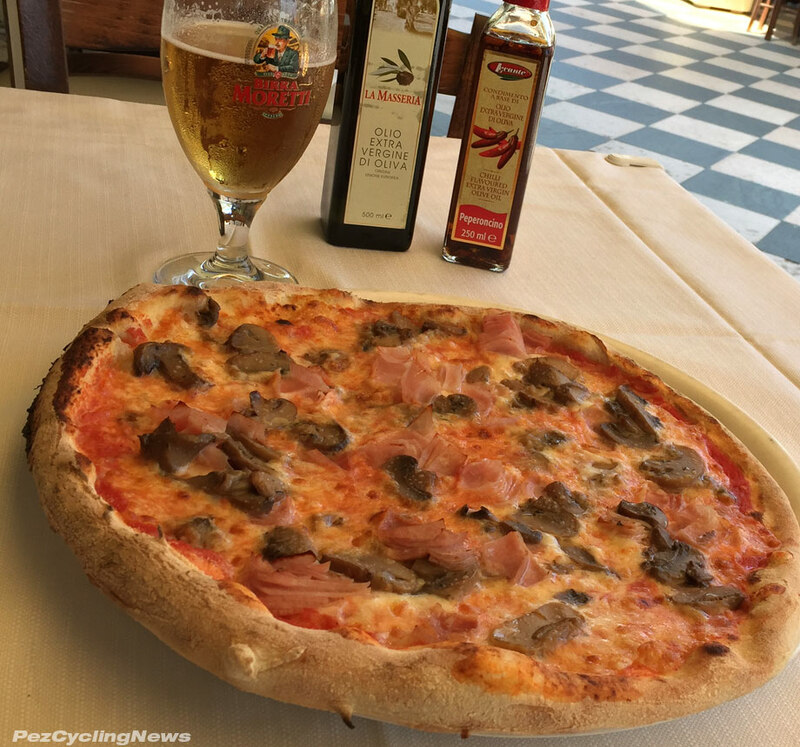 When I arrived around lunchtime - the first this I did was hunt down a pizza from a nearby pizzeria - to confirm that Italian pizza here is as good as anywhere in the country. And while I'd missed the day's ride, I still had plenty of time to catch a few rays on the beach, before enjoying the hotel's pool and spa. It's amazing how much relaxation you can fit into a day when there's no stage report to write. 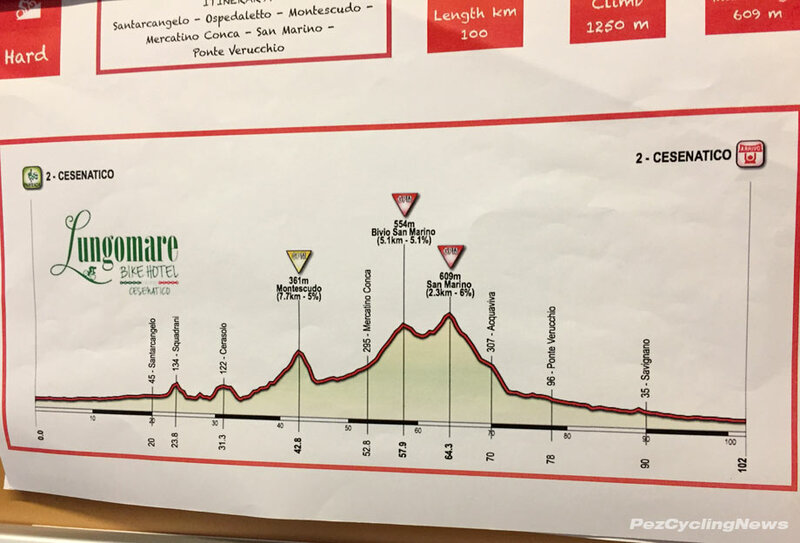 But I was here to ride, and even though I've logged a few other fine rides from here - including an epic day to to climb Marco Pantani's old training climb of the Carpegna . Like all the best bike hotels, several rides are scheduled each day, for riders from beginners up to experts looking to hammer out some big miles. Ride routes and maps are posted in the lobby the day before, and riders are invited to sign up for which ever route looks best. Each ride is guided, and once a week everyone meets for an Italian style barbeque at a beautiful villa in the local hills. 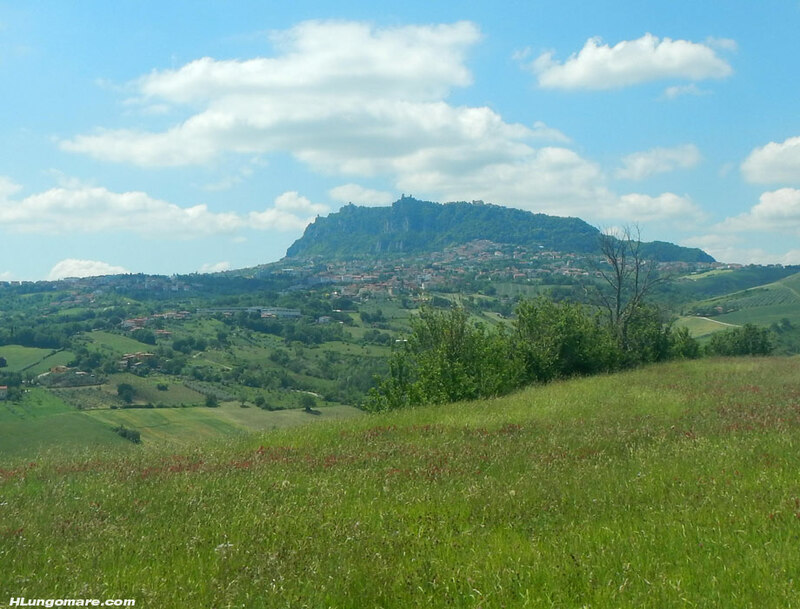 I chose the ride to the principality of San Marino, for a round trip of 102km. Although I'd seen it in the distance many times, I'd never actually climbed it, so today was the day. Breakfast is a meal I love - especially in Italy where the coffee is second to none. 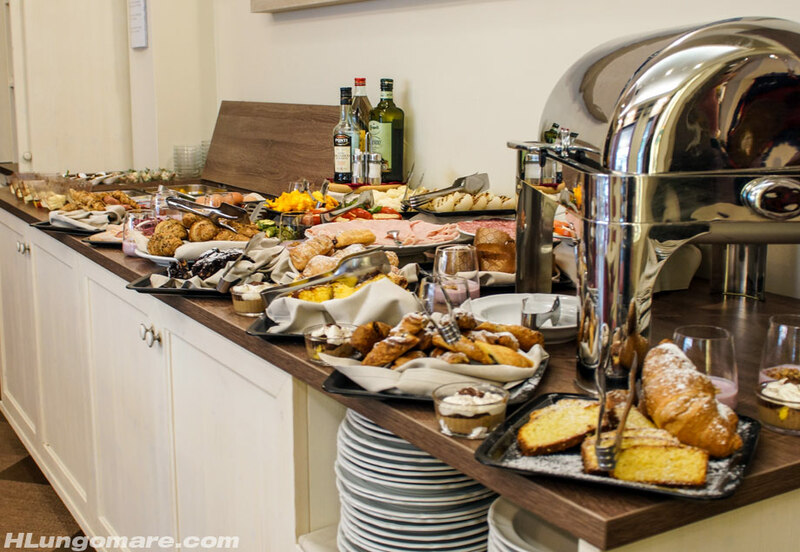 The dining room staff at Lungomare are happy to set you up with one (or more) cappucini, while the expansive buffet beckons, with more than enough hot and cold dishes to fuel a long day of riding. Then it's time to grab the bike from the bike room, and meet your group in front of the hotel. I'd brought along my Ritchey Break Away for this one. 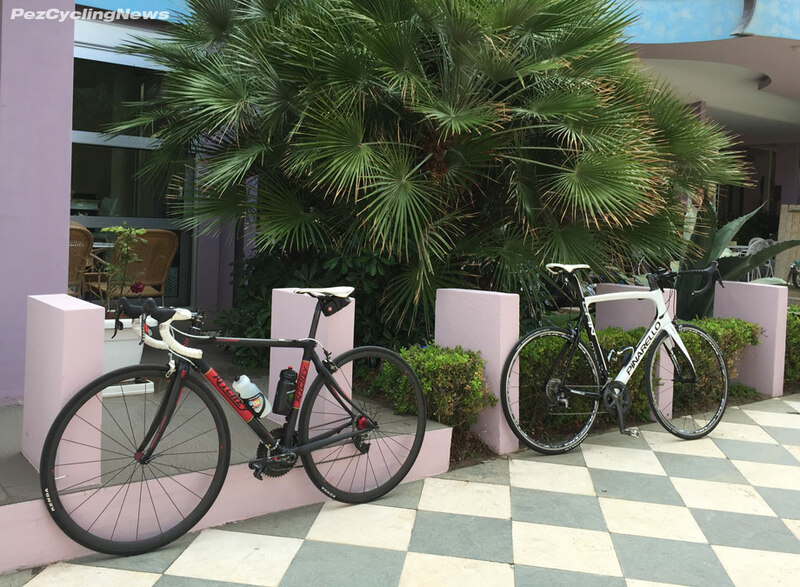 The Lungomare offers a full fleet of Pinarello road bikes for rent, making it even easier to organize the holiday, but there's also nothing like having your own bike for those big ride in far off lands. My Ritchey is an excellent traveller, breaking down into a TSA approved case that's the same size as a large suitcase - which means you can avoid the exorbitant airline fees they charge for a traditionally size bike case. Then at 8:45 precisely were off - rolling out pretty easy for the first 10km on flat roads as we made our way inland and south in the general direction of San Marino. There are literally so many roads here, that varying the route is easy, but our guide knew the be st ones to avoid traffic and take in a few small climbs along the way. 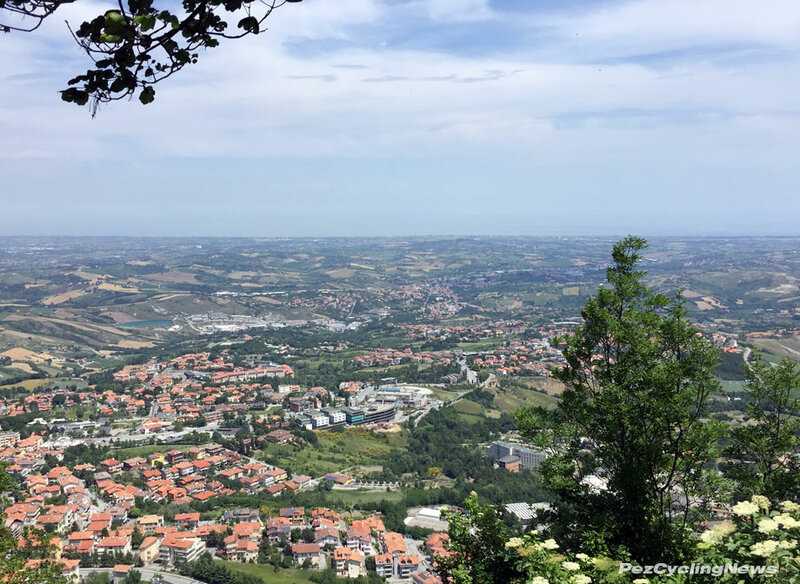 Today's route took us around the mountain of San Marino in a clockwise direction, which offered up almost 360 degrees of views as we picked up the pace to roll along at a steady 30kmh. The guides here do a good job of keeping things moving, since with some serious climbs in the area, the longer rides could take longer than expected if you don't know the way. The long rides tend to run at a pretty steady 30kph average speed, so even the longest of days are pegged to have you back at the hotel by 3:00PM. 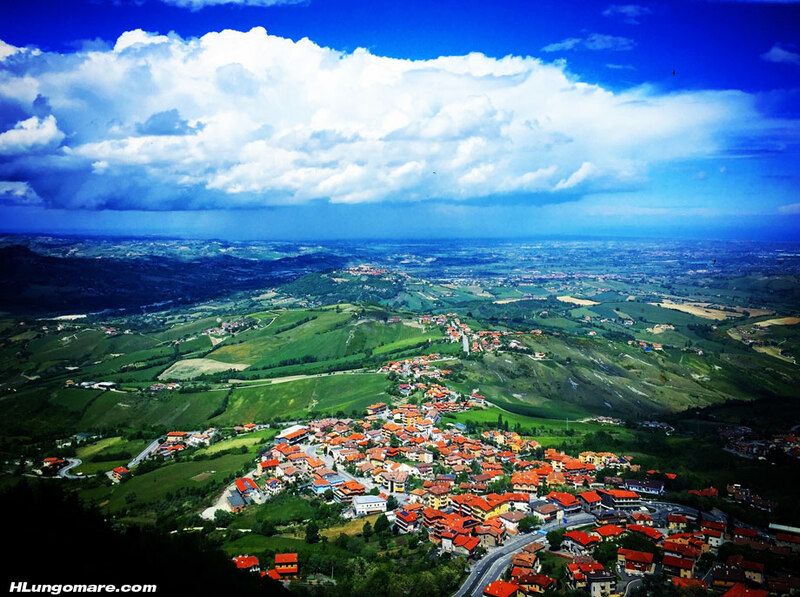 And San Marino is always there - just begging you closer. Upon reaching Montescudo at around 45km in, I enquired about the obligatory coffee stop, which was duly heeded. 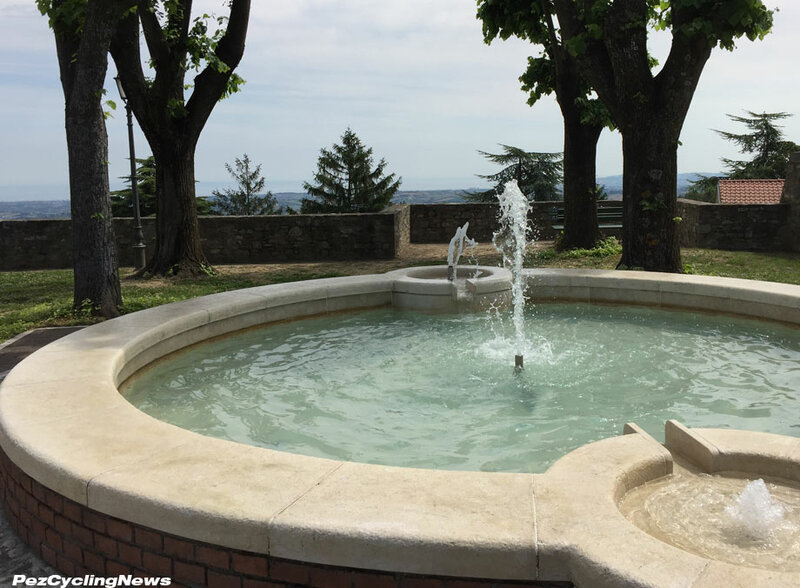 Montescudo sits some 400m about sea level (a smallish climb to open up the legs for later) in one of the endless stream of picturesque towns that dot the region... and there's always a fountain too. The lookout from here offered a nice view east to the Adriatic from where we'd come. From here the slopes are pretty gentle as you approach the actual principality of San Marino - which was a good thing as my legs were feeling the several hundred kms I'd already logged in the past few days. 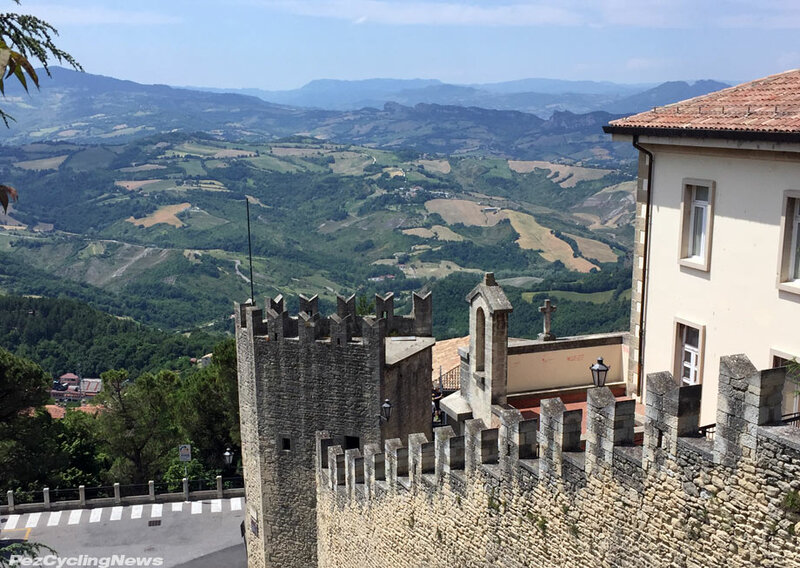 Upon reaching San Marino - I was engulfed by tour busses and the kind of folks who ride tour busses to see places like this. Undaunted, I pressed on into the old town, climbing the ever steepening cobbled street towards the fortress at the top. Once the grade rose over 20%, I decided dodging selfie-drunk tourists was not the best way to represent my mighty PEZ jersey, so I opted to dismount. This was itself a questionable call, seeing as the grip offered by my cleat-clad shoes was entirely unfit for this real life slippery slope. Still, I managed to extract myself from a potentially embarrassing situation to snap a few pics of the expansive vistas offered from several points. After taking in the glorious views, I refueled with a coke and water, and embarked on 45km fast ride back to the hotel. The vantage point offers excellent views of were I needed to go. And we went pretty much due east, eventually hit the coast, at which point a left hand turn would lead us to the hotel. The first 30+ km of this way back are almost always descending, so it's a pretty fun return trip all the way to the coast. All in it was a great day cycling to San Marino and I highly recommend the Lungomare Bike Hotel to anyone looking for a sunny beach holiday with lots of great riding, and enough seaside activities to keep the whole family entertained. 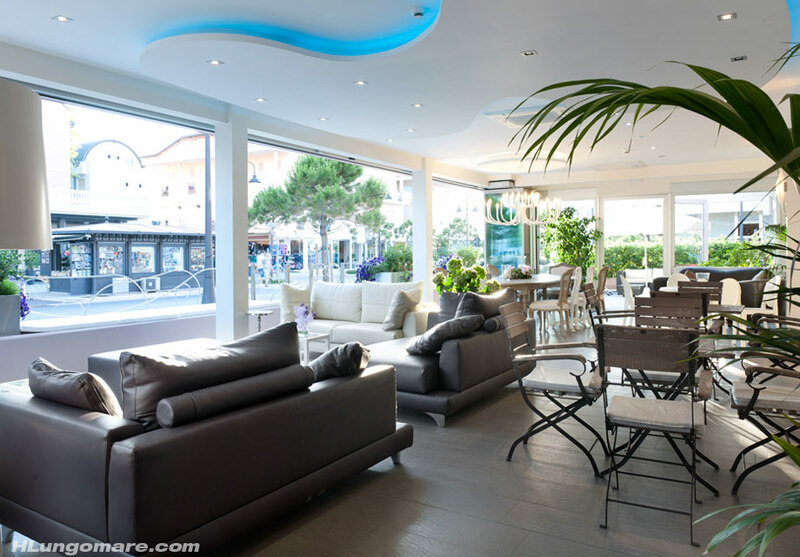 • See the hotel website here and learn more about their bike holiday packages.